We had Back to School Night at our school this week. As I shared who I was with the parents, I began talking about creativity and creative thinking. I told them creativity, and creative thinking, are not just about art! Creativity, and creative thinking, are about noticing, seeing possibility, taking risks, making mistakes, trying new things and thinking new thoughts. They’re about learning. They’re about taking what you know and using that knowledge to go beyond. They’re about playing and communicating. They’re about life! I was so excited to be talking about creativity, my hopes for their children, and the possibilities for creativity in all venues, that I found myself saying, “Even math is a perfect venue for creative thinking. 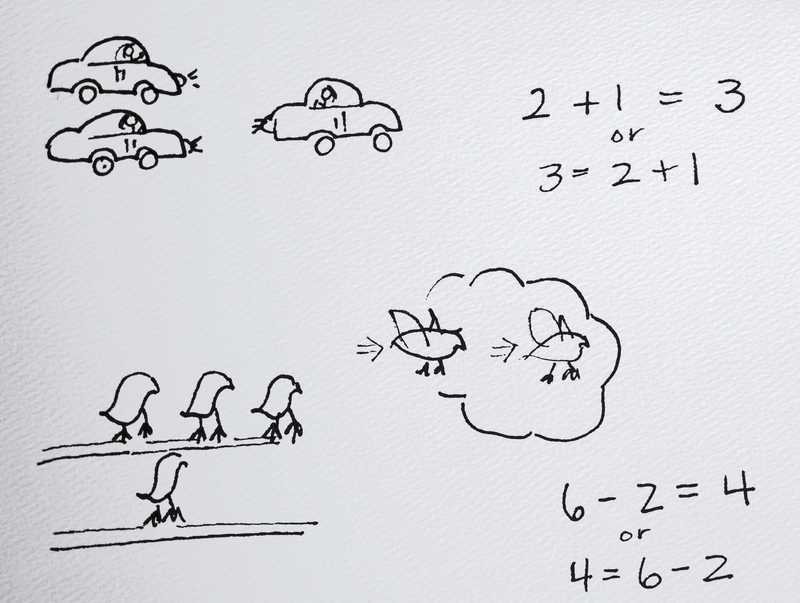 I read this article once, that talked about when 2+2 isn’t 4!” As it came out of my mouth, and I saw the looks of surprise on some of their faces, I recognized the need to clarify that I would, indeed, be teaching their children that 2+2 was 4! But, I would also be encouraging them to think like mathematicians, and, when appropriate, look for those times when 2 plus 2 was something other than 4. I want their children to be able, even as kindergarteners, to take what they know and are learning, and transfer it to other situations. I want them to see the more. Here is how it was lived in my classroom this week. One of my students loves to get “math problems.” She seems to have an insatiable appetite for them! I wanted to honor and encourage her love for “doing math,” but I also wanted to go beyond the rote “doing of math” and engage her in mathematical thinking! I wanted to give her the opportunity to be challenged to notice things, tinker, get stumped, and keep trying. Yes, even in Kindergarten this is possible, and appropriate. Then I asked her to complete patterns or provide the next item in a sequence. She had to think about some of them, and occasionally gave me a quizzical look. I resisted the urge to chuckle, and instead just encouraged her to think about it. Sometimes I realized I hadn’t given her enough information, or I had been ambiguous, so, I amended my instructions. Each time she got it! I decided it was time to take a chance, and see what she did with more of an open-ended question. She looked at me, and then at the problem. She looked at me again, this time with a bit of annoyance. “10 equals. But what do you mean?” she asked. 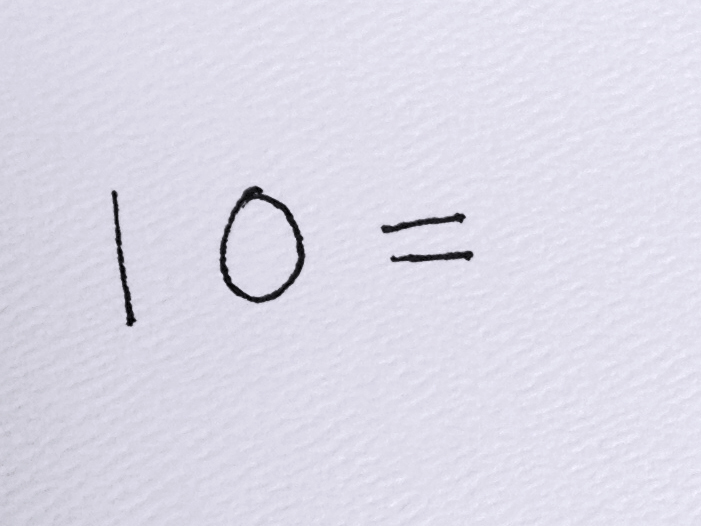 “Well, what does 10 equal?” I asked. 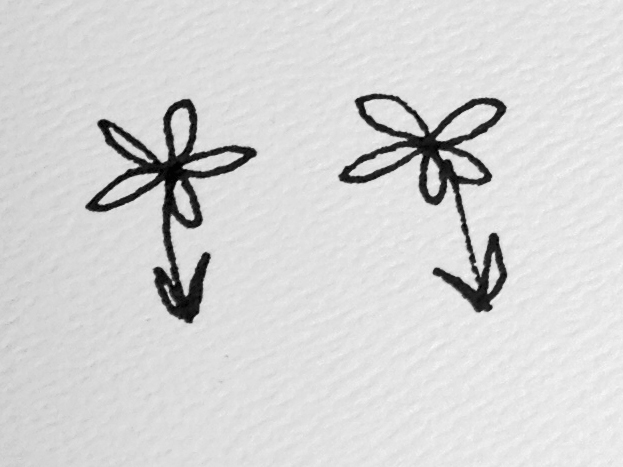 We did a few more problems together – sometimes I drew or wrote for her, sometimes she drew or wrote for me. Then, I took it a step further. I gave her this problem. “Oh! How is it 16?” I asked. She showed me the 16 dots. “Indeed! That is 16.” Now it could just as easily have been 8 because of the antennae, or the wings. It could have been 24 because of the legs. It could have been a lot of things! The importance, (outside of the math facts) was the noticing, the thinking, the sharing of thinking, the questions, the explanations, the affirmation that thinking was good, and finally the confirmation that her thinking was sound. It would, however, also have been ok if her thinking wasn’t sound, because it would have given us an opportunity to converse, rethink, and to come to another conclusion. So, I ask you? When is 2+2 NOT 4? Amazingly enough, there are many times! Think. Draw. Write. Be creative. Think in ways that might not be your first choice. Think in ways that seem to defy mathematical sense. But think! Oh, and be sure to play, and have fun. If you come up with some ideas, please leave them in a comment. In a few days I’ll post a comment with some of my ideas when 2+2 is not 4!